Protestors in Detroit earlier this week. The city's emergency manager announced Friday the city would halt debt payments. Detroit will immediately stop payments on about $2 billion in debt, the city's emergency manager announced Friday, an effort to conserve cash. The manager, Kevyn Orr, also said Detroit will need to cut pay and pension and health benefits for city workers. Debt holders are likely to get only pennies on the dollar. 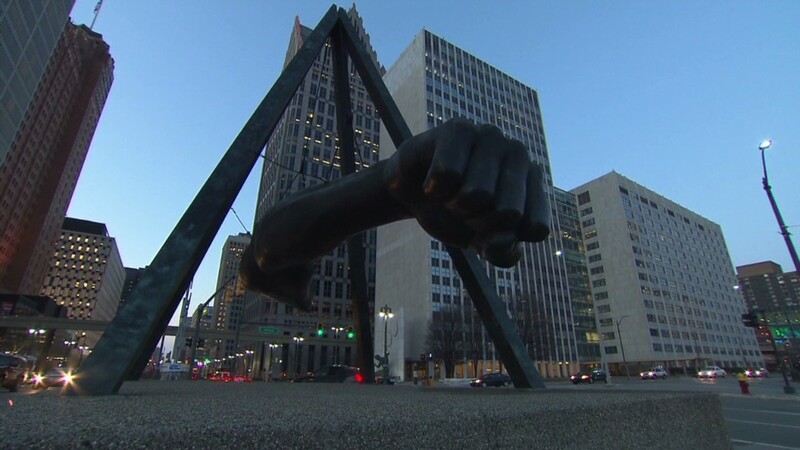 "Financial mismanagement, a shrinking population, a dwindling tax base and other factors over the past 45 years have brought Detroit to the brink of financial and operational ruin," said Orr. Orr met with the city's leading creditors behind closed doors Friday morning, presenting his preliminary restructuring plan. He said further meetings are planned with the unions representing city employees. Orr's statement and the 134-page restructuring plan did not mention the word "bankruptcy." But the risk still looms. Orr is on record saying he wants to avoid bankruptcy but can not rule it out. It would be the largest city in U.S. history to file for bankruptcy protection. Attorney Michael Sweet, an expert in municipal bankruptcy, said he thinks bankruptcy will be the ultimate outcome. "Orr's meeting with creditors ensures that he makes a good-faith effort to negotiate debts," Sweet said. "While bankruptcy still comes with certain stigmas, it would allow Detroit the opportunity to reinvent itself." Orr's plan calls for reducing $11.5 billion in unsecured debt -- including pensions, healthcare funds and loans not backed by assets -- down to $2 billion. That would be about an 83% reduction in what investors and retirees are owed. The restructuring plan received support from Michigan Gov. Rick Snyder, who appointed him to the post in March. "The plan ... requires shared sacrifice among all involved but most importantly focuses on a restructuring designed to return Detroit to solid financial footing, ensure the delivery of essential services for residents, and solidify the city's viability well into the future," said Snyder's statement. Detroit Mayor David Bing, who had welcomed Orr's appointment despite opposition from many other Democrats, did not have any immediate comment on the plan. There were protestors gathered outside the meeting. 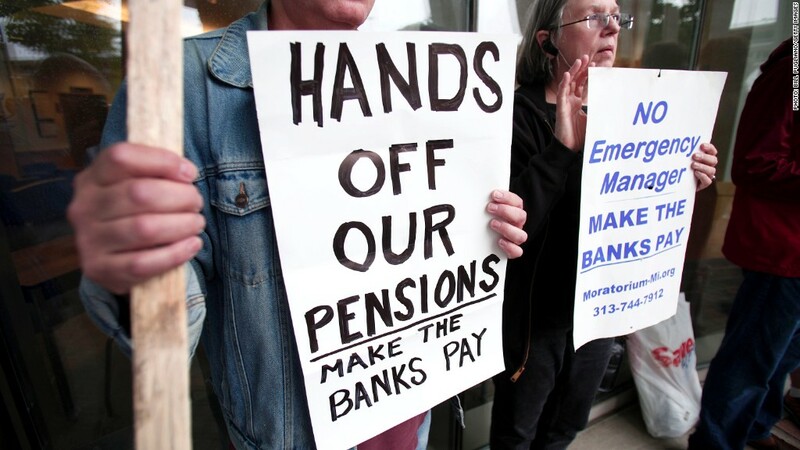 "How am I supposed to live without my pension?" said David Sole, 65, who said he retired from the city's water department in January after 22 years. Detroit's population has fallen 28% just since 2000. The unemployment rate, while down from 23.4% in 2010, is still at 18.6%. While the auto industry has enjoyed a resurgence with strong car sales and profits, and and hiring binge by General Motors (GM), Ford Motor (F), Chrysler Group and parts manufacturers, most of the industry's Michigan plants lay outside of city limits.